Dazzling Dominika shows how to glam it up! Here’s what she had to say about the experience: “On the day we had a ball. Amber had arranged for a wonderful hair and makeup artist to glam us up and whilst the next person was getting pampered Amber took us for our individual shots. We had champagne, nibbles and a good laugh. It was a great experience and one I would love to do again. I would thoroughly recommend Amber to anyone out there who is after a similar experience”. Read the rest of her review here. 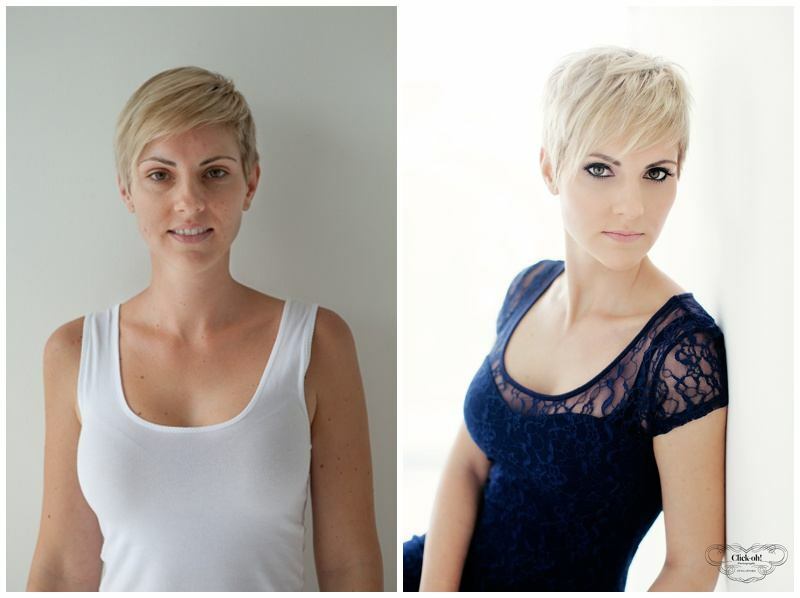 I also really loved her pixie cut… I’m almost tempted to get the same hairstyle to make living in Singapore a bit easier! Fabulous hair and makeup by Emma Haddock. She can be contacted through her website www.emmahaddock.com or at Indigo Artisans. This entry was posted in Amber's Blog by amber-roberts. Bookmark the permalink.